Alder Stream canvas makes canvas canoe packs for long and short trips or packs for hiking and casual trips. Packs are available in different materials. 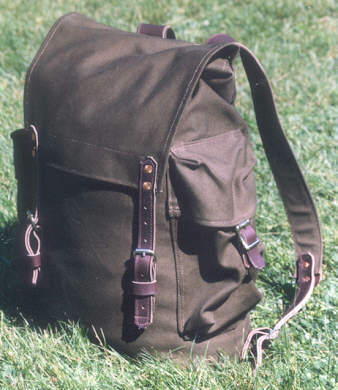 Heavy 18 ounce canvas in olive drab green, beige and ranger brown (medium brown with an olive tint). Please ask about color choices and other materials, many times other materials are available. Left: Minnesota Special , nylon straps and closure, canvas straps. Middle: Expedition Pack, leather options. 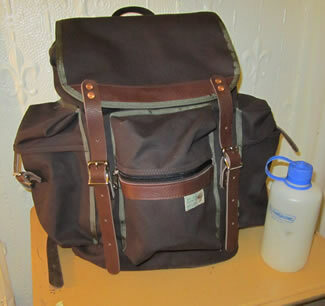 Right: Minnesota special, leather straps, tumpline, extra side pockets. All shown in green canvas. 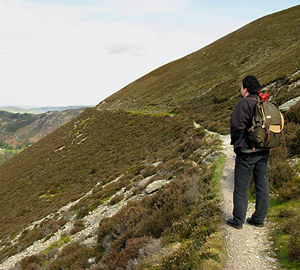 Our quality heavy canvas has some resistance to water, but a pack liner is recommended for extended outdoor use. 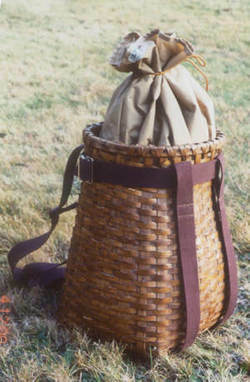 Tying a pack liner with a simple tie closure, This pack liner is sitting inside an Allagash pack. Shown above is the drawstring closure standard on all packs. The closure is held in place with a cord lock. Made of a heavy, waterproof coated pack cloth and snugged tightly shut with their simple tie closures, these liner bags will keep the gear in your packs dry even with two inches of water sloshing around in the bottom of your canoe! Suitable for lining both soft packs and pack baskets. Ordering a liner the next size larger than the dimensions of your pack or basket will let you accommodate an oversized load. Pictured right in Olive Green Canvas. If you're heading out for a long wilderness canoe trip, this is the ideal pack for you. This classic, rugged pack with leather trim is handsome to look at and will stand up to year after year of hard use. Standard features include a zippered front pocket, large side pockets for easy access to small items, and an internal frame of closed-cell foam. 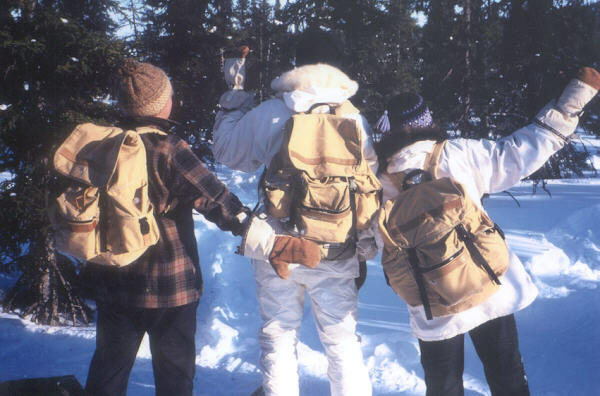 Tan canvas packs with nylon fastex buckles on a snowshoe trip in Labrador. Options: Side pockets, inside flat pocket. 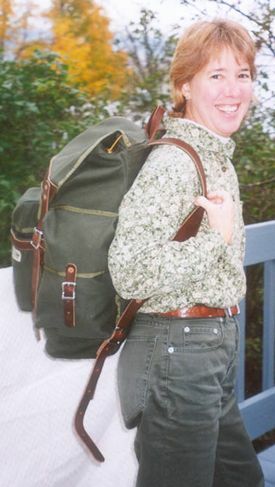 Pictured at right: Day Pack, Green canvas with fastex buckles and padded shoulder straps. A perfect pack for everyday use, for travel and commuting, and of course, for those day hikes in the woods and mountains. Standard features include a padded back, large zippered front pocket and padded shoulder straps. 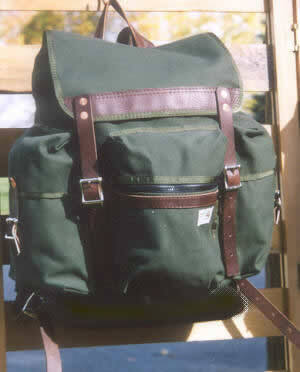 Minnesota Special: Shown here in green canvas with leather options and extra side pockets. A popular choice for those looking for a canvas canoe pack. This pack is designed with the canoeist in mind and has become a favorite with wilderness paddlers. There's no better choice of canoe pack for your trip in Minnesota's Boundary Waters. 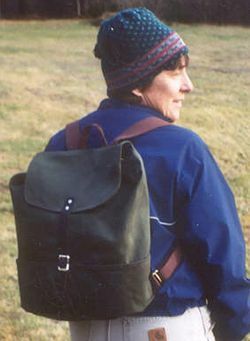 Standard features include a large carrying capacity, extra-wide, heavy duty straps, and a large front pocket. Options: Side pockets, tumpline, axe pocket, inside zippered flat pocket. This large capacity pack has side cinch straps that let you adjust the pack to fit your load. 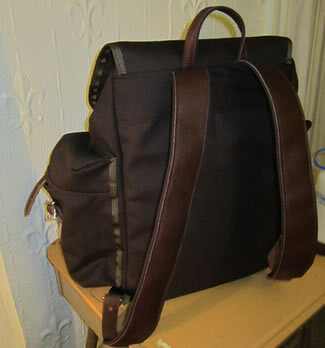 Other standard features include an extended top flap to keep the weather out and extra-wide padded shoulder straps. 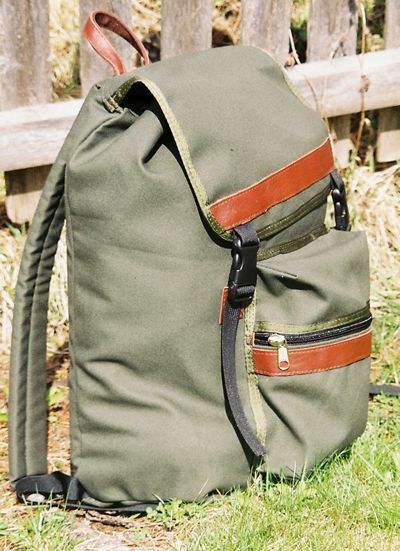 Made of tough olive drab canvas, the Allagash Pack is the newest addition to the Alder Stream Canvas lineup. The simple lines of this tall, narrow pack, combined with its wide shoulder straps, makes it a very comfortable pack to carry. Standard features include side pockets long front flap. 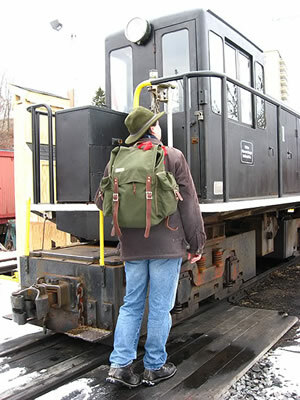 The Narrow Gauge pack is a modified Allagash pack with side pockets, and several inside pockets for notebooks, pens, passport or any other items you need to keep handy. Sandy River & Rangeley Line - Maine's historic Narrow Gauge Rail Road. 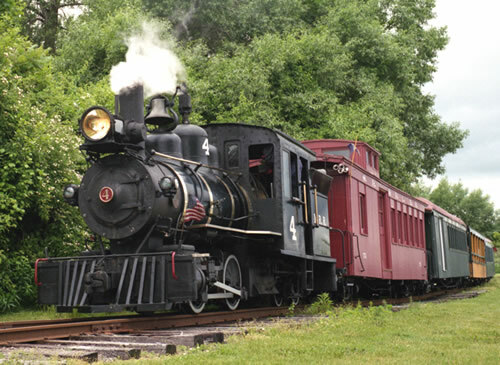 This picture is of #4 - one of Monson Railroads original engines, it worked on a quarry railroad in Monson Maine. Specially designed for a customer taking a trip to London, this is the perfect pack for the international traveler. Stick your water bottle, bagel or newspaper in the open pockets around the bottom of the pack. Because the brown, cotton-webbing shoulder straps on this pack are adjustable to fit any wearer, it makes a great kid's pack for school use and family hikes. A small compact pack made for an active 4 year old named Elijah! Inside zippered pocket. Quick release front buckle. Adjustable shoulder straps.